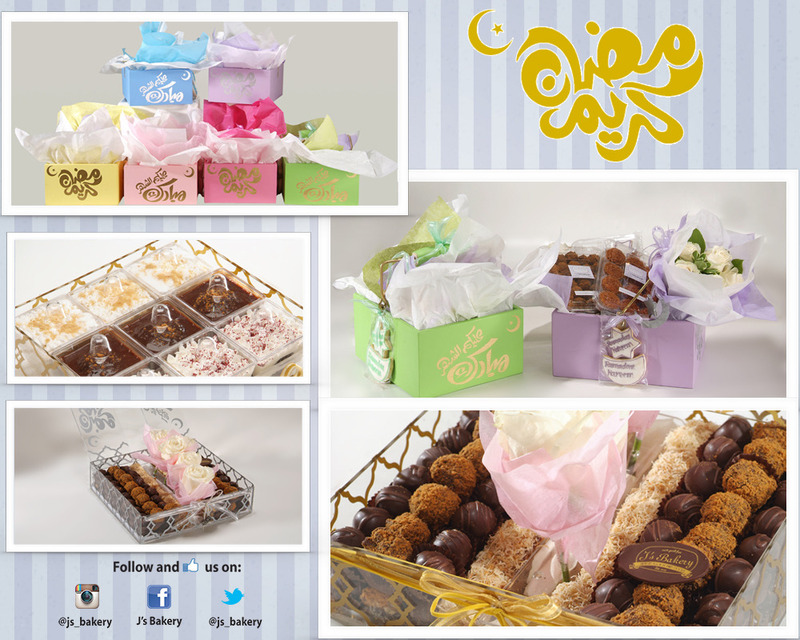 Ramadan Kareem to all our customers, may this holy month be filled with spirituality, prosperity, love and compassion. 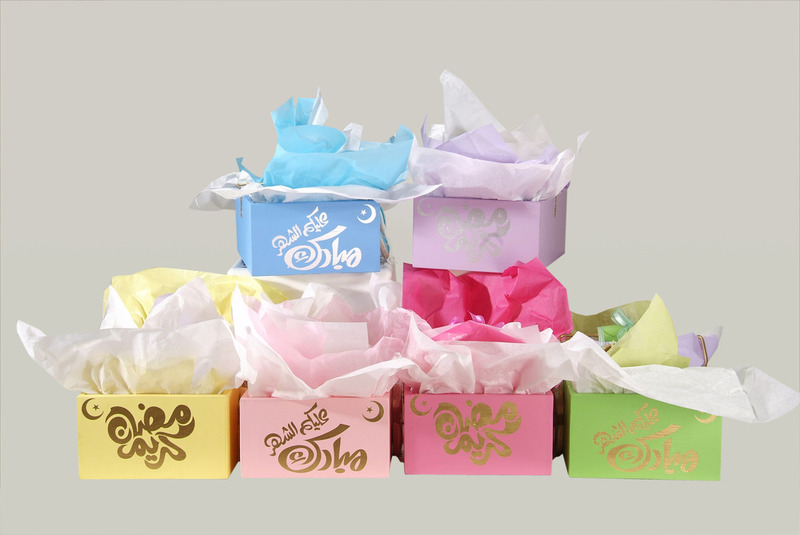 J’s Bakery Signature handmade wood Gift boxes in our most popular colors embellished with Arabic Ramadan Kareem in Gold and silver. 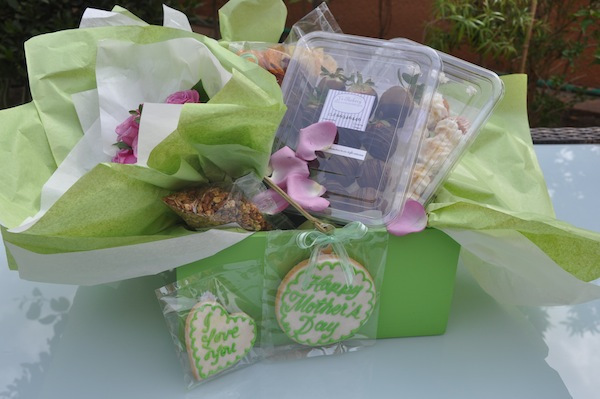 Ramadan Giftbasket filled with festive treats; 1dz reduced fat mini date cheesecakes, 24pcs mini reduced fat konafa datebars, 0.5kg Brownie biscuit balls, 7 customized moon and star sugar cookies, 3 mini girs pound cake and a bouquet of 5 fresh flowers. 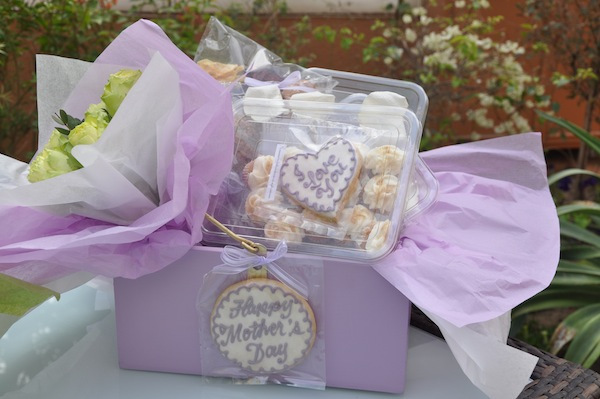 Ramadan Giftbasket filled with festive treats; 1dz reduced fat mini date cheesecakes, 24 pcs mini reduced fat konafa date bars, 0.5kg Brownie biscuit balls, 7 customized moon and star sugar cookies, 3 mini girs pound cake and a bouquet of 5 moon and star sugar cookies. 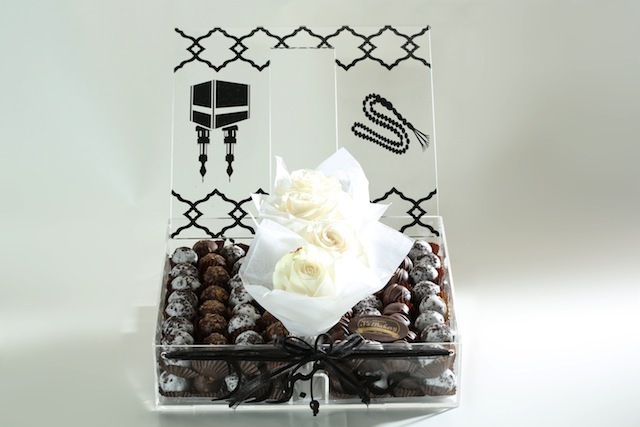 Plexi Gift Box with Ramadan motif filled with 1KG Dulche balls, 0.5 Kg brownie biscuit balls and 24pcs mini reduced fat Konafa date bars. 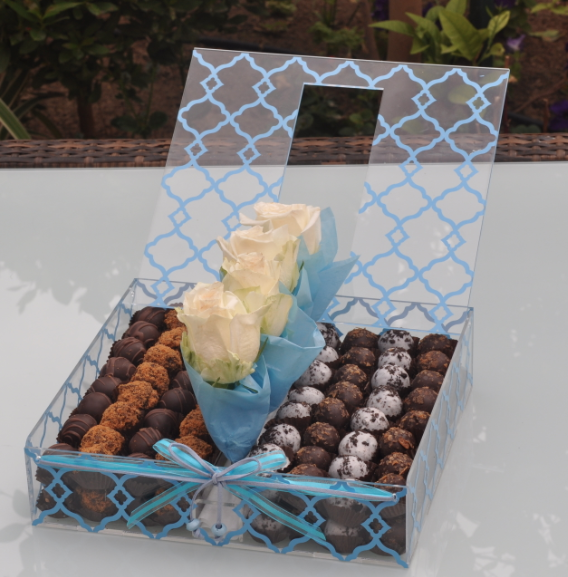 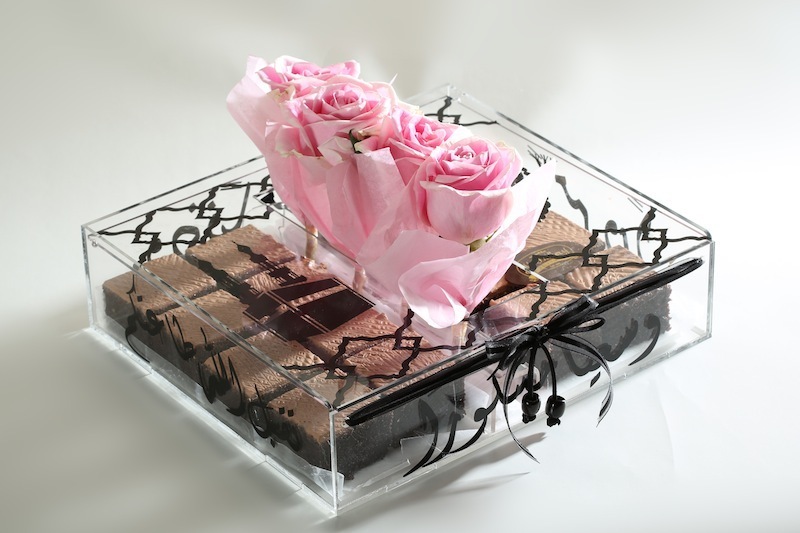 Box available in gold and silver with arrangment of 4 fresh flowers. 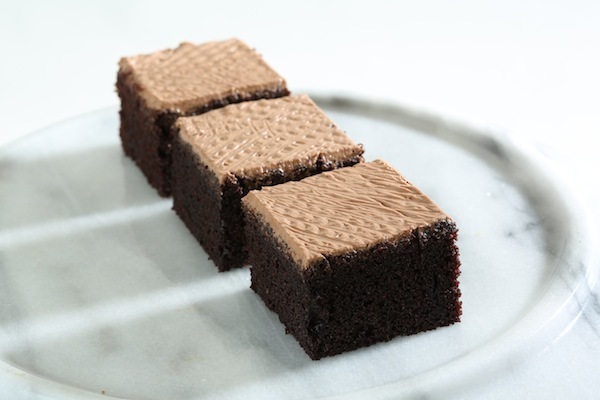 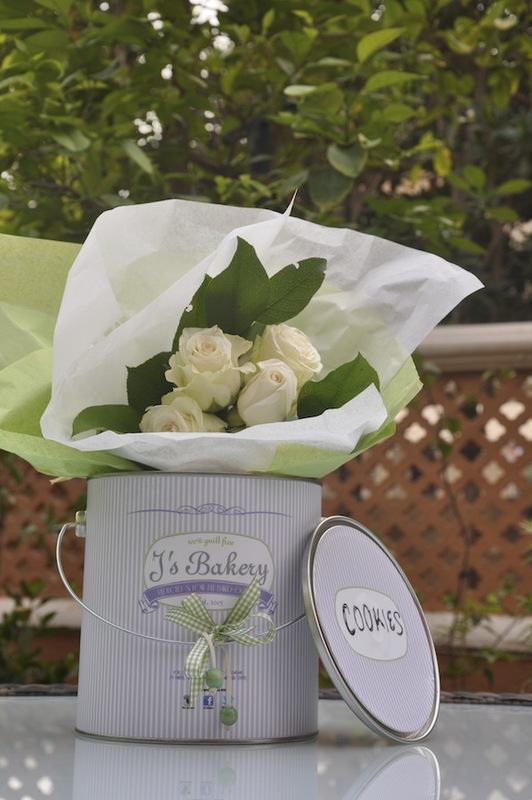 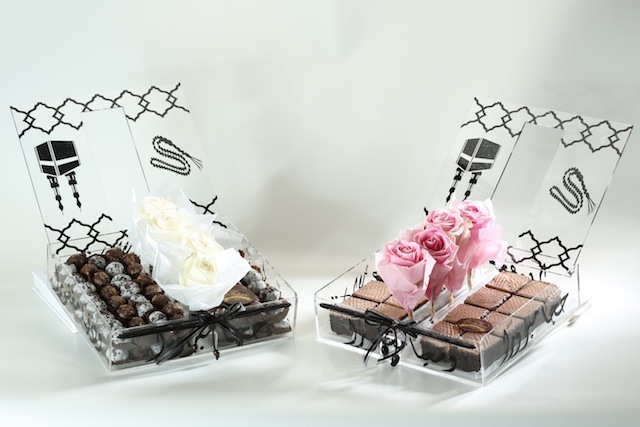 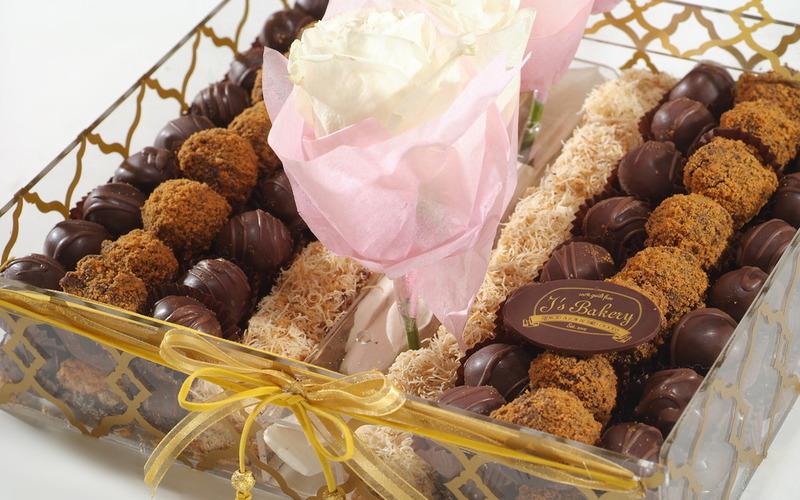 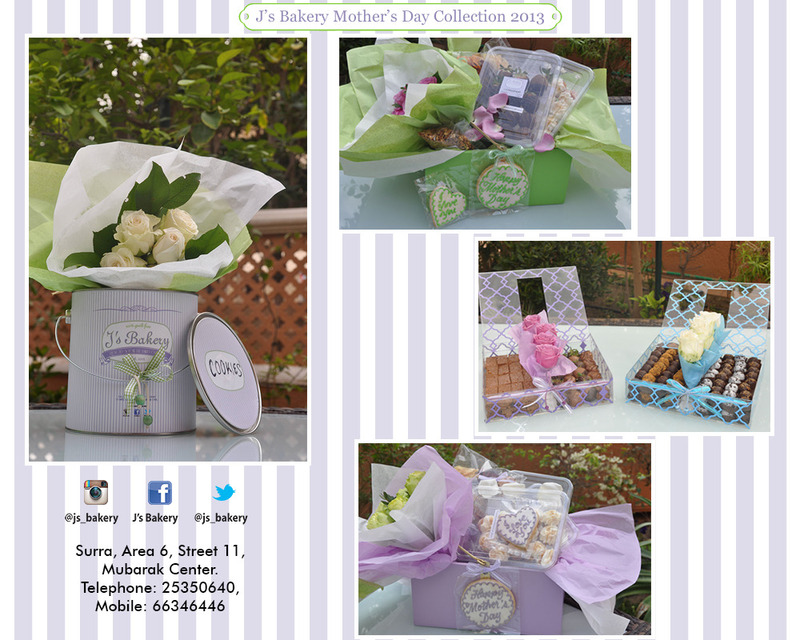 Celebrate Ramadan Gatherings with J’s Bakery Collection of packaged treats.. 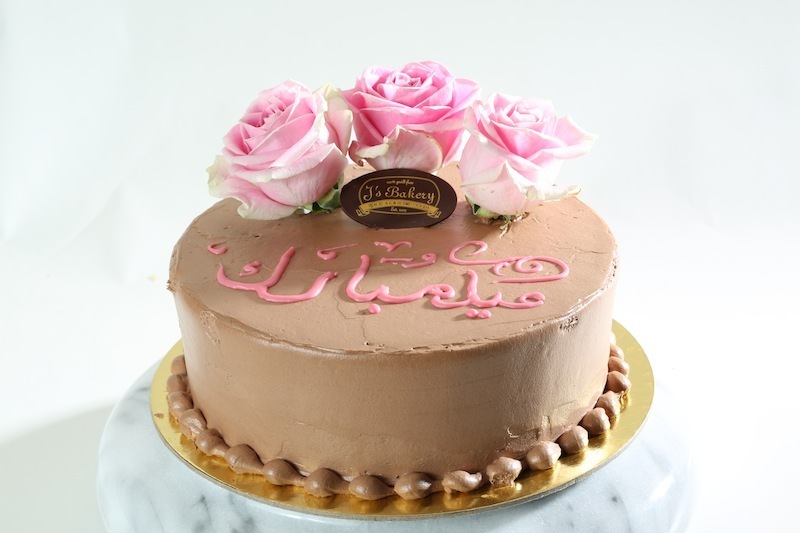 Call 25350640 or 66346446 to order or visit us in Surra area 6 street 11 mubarak center.